For more than 20 years, I have made it my mission to help individuals, families, and small businesses work to eliminate debt and achieve a fresh start. Over the course of my legal career, I have successfully handled more than 5,000 cases in Worcester County and beyond. 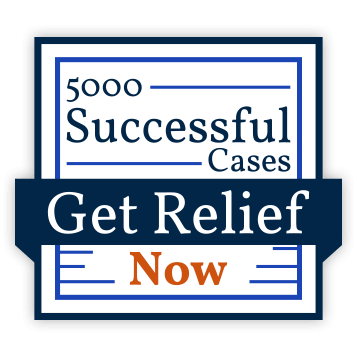 Armed with this experience and an in-depth knowledge of federal bankruptcy law, I am prepared to help you fully understand your options for debt relief. Bankruptcy is a valuable tool for those facing immense, crippling debt. I can help you weigh the pros and cons of filing for Chapter 13 bankruptcy, determine whether you are eligible to file for Chapter 7 bankruptcy, or assist you in finding a custom debt relief solution for your small business. I understand just how stressful it can be to face relentless collection activity and seemingly insurmountable debt. Morrison & Associates is here to help you regain confidence and control over your finances in this difficult time. To speak to an experienced bankruptcy attorney in Worcester, please call my law office at (508) 928-3038 or submit an online contact form. At Morrison & Associates, clients receive compassionate, personalized legal services. As your bankruptcy attorney, I will work directly with you throughout the legal process. You will never be passed off to a paralegal or junior staff member. Instead, your case will be treated with the care and attention you can only find at a boutique law firm. Throughout my years of experience handling thousands of bankruptcy cases, I have learned that no two cases are alike. Because of this, my firm does not offer a one-size-fits-all solution. I can help you find innovative debt relief strategies that meet your needs and the needs of your family. I am prepared to counsel you on your options, assist you with filing for bankruptcy, and working to put a stop to harassment from debt collectors the moment you reach out to my firm. Take the first step in reclaiming your financial future. Call Morrison & Associates at (508) 928-3038 today. Why Choose Morrison & Associates? "I am a committed and experienced lawyer who takes responsibilities seriously, knowing that the results I achieve for my client will have a lasting impact on their lives." Also available on weekends and evenings.